Recovery from a disaster requires a host of actions to restore the physical, economic and social functions of a community, including the restoration of critical infrastructure; re-establishment of educational, civic and commercial services; and replacement of displaced persons. As such, long-term recovery touches on many sectors including emergency management, public health, housing, mental health and the environment. Collaboration among all areas affected by a disaster is critical for the successful recovery of any community. To address some of the many issues related to integrated disaster recovery, Christian County Emergency Management is holding a one day workshop, to explore strategies to integrate disaster recovery across disciplines, sectors and jurisdictions. The workshop will focus on lessons learned from previous disasters and how the local C.O.A.D.s and Long Term Recovery Committees enable communities to rebuild and get back to normal. 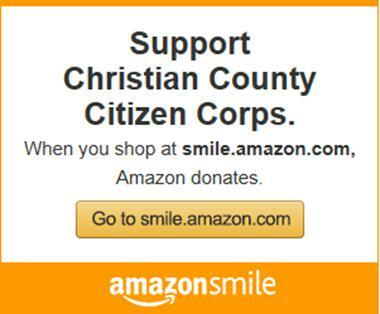 We will also show you how our local Citizen Corps assists with the disaster response and recovery in Christian County. Area business owners, non-profits, service agencies, public safety agencies, churches, volunteer agencies...anyone that may have a part in disaster recovery! Please click here to RSVP! We need to know how many is coming!